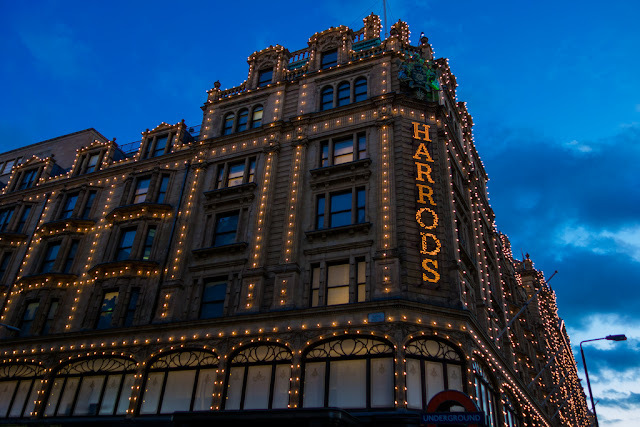 Visiting Harrods for the first time has definitely changed my perspective on so many things. I sure didn't know - or even expected - that there are bed sizes bigger than King size. I didn’t know because nobody told me. Also because I never thought to ask; I mean, King size is already big - and frankly quite enough slumber area, even for a couple - so I don’t imagine anyone would spend time contemplating sleep improvements and coming up with bigger bed sizes as THE solution. Then I thought, okay - they made a bigger bed which people with longer legs would really want - so they’ve come up with Super King size. I’m pretty sure this new size would allow up to 5 people to sleep together in the same bed, should they ever need to. You know what?! Fine! Tall people need to sleep well too. But it turns out that someone’s made an even larger bed - the Emperor size - which you can buy without ever needing to be an emperor. I'm guessing a maximum of 11 people could sleep comfortably in that bed. But the bed is made for an emperor so, of course, only one person is meant to sleep in it. To me, that’s almost mind-blowing. Who needs that? Who even knew it existed? I definitely didn't - I never hang out with emperors. What else can emperors have that is so ridiculously extraordinary? 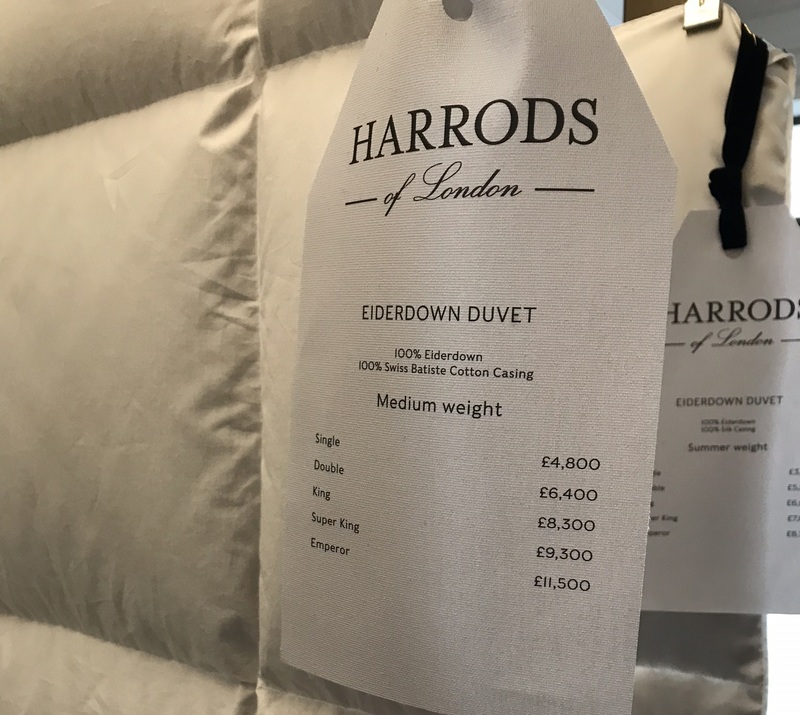 What is definitely mind-blowing is that at Harrods you can buy a duvet filled with elder people’s feathers. Freakin’ elders’ FEATHERS! I didn’t even know old people grew feathers ... I would have never dreamt of it. I now have so many questions; like, millions. Why is this not in the news, like, every day? Are old people able to fly, secretly? Who’s buying feathers off old people? Do they select people or just welcome anyone who is willing to give up their plumage? Am I going to grow feathers one day or is it just a particular group of folk who get lucky like that? I didn’t get any sleep for over 30 hours straight. Then I slept for 12 hours straight. Now, I’m sitting here looking far into the horizon thinking “unicorns must exist.” There was another duvet option - one I could not bring myself to photograph - which costs just over £14,000. That would have to be filled with unicorn dust ... What else could it be?